For the past ten years, the price of gold has risen consistently in what appears as a prolonged and dramatic bull market. During this period, gold has climbed a healthy “wall of worry.” This wall of worry manifests as Western newsletter writers constantly warn of the end of gold’s ascent. With each correction, gold takes a breather and consolidates. We saw this happen last week. Of course, the short-term technical analysts use these periods of consolidation to claim they were right all along, only to have gold resume its climb and once again prove them wrong. Gold is being driven by longer-term influences that will likely remain in place for at least a decade—and probably much longer. These trends have little to do with the short-term trends followed by technical analysts. With most bull markets, we can compare these walls of worry to temporary construction fences that are removed once the completed building, or mature bull market, is visible to everyone. With gold, this wall is more akin to the Great Wall of China. Its size is proportionate to the expected length of time the primary trend will last and the heights gold will reach before completing its historic climb. What makes the term “bull market” inappropriate for gold is that those who own gold will certainly have greater financial security than those who do not. However, they will quite likely be living in a world filled with the panic, desperation and social breakdown that currency crises precipitate. Western analysts appear to have difficulty understanding gold’s behaviour, probably because they fail to grasp its unique monetary role. Gold has served successfully as money for 3,000 years, and continues to fulfill this purpose successfully today, while all other forms of fiat currency lose purchasing power against it. Gold has its own rules and principles. Gold as money operates in a way that is contrary to the behaviour of fiat, or debt-based, paper money. Debt, the foundation of our modern fiat currency system, is like a lie that requires a thousand lies to sustain it. Intrinsic economic value, which is the soul of gold, like truth, requires no defense. We can gain considerable insight into gold’s behaviour by looking at two of its most important underlying principles. First, gold does not rise in value. Currencies lose purchasing power against gold. A 10-year comparison chart of gold and five of the world’s prominent currencies shows that the US and Canadian dollars, the euro, the British pound and the Japanese yen have all lost over 70 percent of their purchasing power against gold in the last decade. This principle is important because it tells us that gold can rise as high as currencies can fall in value. Presently, the US dollar is following a similar historic path to the currencies of most other countries that began printing money with no restriction. Eventually, this leads to trade wars, then runaway inflation and finally hyperinflation. As a counterbalance to this weakness, goldstrengthens since gold is the anti-currency. Official government inflation figures are no longer reliable as the US government, under President Clinton, initiated a policy of continually changing the basket of goods it measures when items like food or energy became too expensive. It changed from measuring a standard of living with a fixed basket of goods to a cost of living with a “variable” basket of goods. Fortunately, economist John Williams of ShadowStats.com still tracks the original basket of goods used to measure the Consumer Price Index (CPI), and it tells us real inflation is close to 10 percent. We have already seen the beginning of trade wars, and the universal “race to debase” with respect to currencies is also well underway. Runaway inflation cannot be far off. Of course, since the rate of inflation is subtracted from America’s gross domestic product (GDP), subtracting the real rate of inflation that ShadowStats.com consistently produces each month would give us a negative GDP. The insidious cause of inflation is currency debasement. The word “debasement” comes from the ancient Roman practice of hollowing out gold coins and filling them with base metals. So how far can currencies fall in value? Well, photographs from Germany at the time of the Weimar Republic, when a wheelbarrow full of paper marks would not even buy a newspaper, come to mind. At that point, how many dollars will it take to buy an ounce of gold? The non-Western buyers, who are fuelling the rising price of gold, easily grasp that gold is most effective as a wealth-preserving asset, not as a wealth-gaining asset. However, the secondary benefit to the non-Western buyer is that gold is also serving as a wealth-gaining asset due to its current uptrend. Last year the BMG sales team travelled to Central America, to the Middle East and to the Far East. In these parts of the world, gold buyers seldom show concern for the price of gold. They care most about the authenticity of their gold, and the security of the vaults where it will be stored. They want to know that, when their granddaughter’s wedding day comes in 20 years, the family fortune will still be intact. Bearing these two simple principles in mind often leads to thinking in terms of stable goldounces rather than fluctuating currency. It may also lead to thinking in longer-term timeframes. In other words, it may lead to thinking like the non-Western gold buyers who are mostly responsible for gold’s rising price. 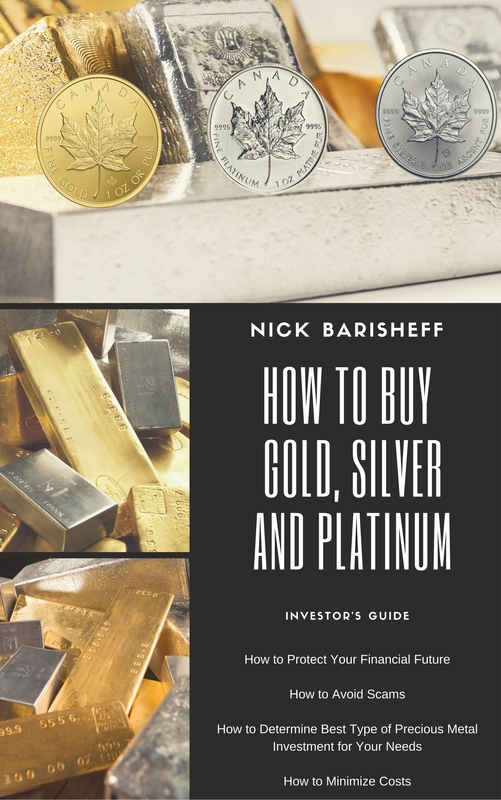 Since short-term trends have little influence on the price of gold, short-term trading in gold is, for most, a fairly certain path to financial ruin. The average retail gold trader is like the average chess player up against Deep Blue, IBM’s chess supercomputer. Computer programs initiate nearly half of all trades on today’s Western exchanges. These high-frequency trading programs are capable of trading gold short-term at the speed of light. The new breed of Wall Street computer wizards, the “Quants,” will be in and out of trades before the retail investor can even think about logging on to their computer. The few retail traders who sold at the top of last week’s market may have been lucky, but goldtends to respond to surprise events, and these days the world has many surprises up its sleeve. One example of this was the confirmed “correction in gold” last year that provided sufficient technical and fundamental proof to validate a “top” in gold. Yet, the simple act of India’s surprise purchase of 200 tonnes of IMF gold reversed that trend in seconds. Most short-term traders who had exited the market found themselves chasing the rising gold price as they tried to re-enter. The mid- to long-term trends that are fuelling this market are still in place and will likely remain in place for a decade or longer. Currency devaluation will continue, as this is the only tool available to the Fed and other central banks to decrease their foreign debt. This has the effect of increasing national, business and private sector debt. It is a vicious cycle as interest payments mount and more money needs to be created to service the interest on the debt. Real estate prices are falling in the US and many other countries. They will continue falling because of a number of influences, such as the aging population and rising unemployment, that cause the real estate plunge to feed on itself. The Canadian real estate market, thanks to the stronger economy and banking system, has avoided this downtrend to date. Three of the most important mid-term trends (and in the world of gold, mid-term means lasting a decade or longer) are central bank buying, Chinese public buying and the movement away from the US dollar. For 20 years prior to 2009, the world’s central banks were net sellers of gold. In 2009, they became net buyers, buying more gold than was purchased for jewellery or industrial purposes. The main participants were the central banks of China, Russia, India, Iran and other Middle East countries. In February and March of 2011, Mexico’s central bank bought nearly 100 tonnes of gold. This was the third largest single purchase of gold in nearly a decade. 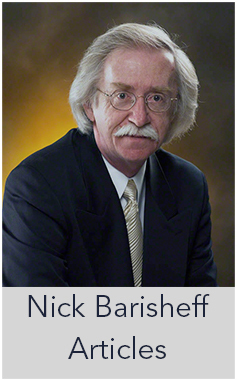 In a recent article by Julian Phillips, Central Bank Gold Buying May Mean Recovery is on its Way, the author points out that, “Buying programs by central banks usually follow a particular pattern. Central banks buy to hold, not to trade or profit from. They are a monetary asset held for the most extreme of national economic crises. This affects the way they buy for their reserves.” This is why this trend will likely last at least as long as central bank gold selling lasted—20 years or more. China imported over 200 tonnes of gold last year, despite being the world’s largest goldproducer. Russia stated plans to continue buying 100 tonnes of gold per year and China has officially stated they hope to own 6,000 tonnes. Unofficially they have set the target at 10,000 tonnes of gold. With current official reserves stated at 1,054 tonnes, they still have a significant amount of gold to buy. Many Western banks, such as those in Canada and the UK, will also have considerable buying to do if they wish to replenish their depleted reserves. Pierre Lassonde, former president and CEO of Newmont Mining Corporation, feels that buying by the Chinese public in the coming decade will be the fuel that powers gold into the stratosphere. During the last gold bull market, the Chinese public was unable to participate. Now, the Chinese are not only participating, their government is encouraging them to put five percent of their savings into gold bullion. Considering the Chinese can save nearly half of their income, and that they have a 5,000-year love affair with gold, this represents a significant amount of potential buying. Long-term, non-Western buyers are not particularly interested in gold stocks or any other form of paper gold, as they are buying gold coins and bullion to preserve wealth. The destruction that paper currencies can cause is still fresh in their minds. The Middle East oil producers, China and Japan currently own around US$5 trillion. As oil is denominated only in dollars, they were forced to hold US “petrodollars” if they wanted to buy oil. They are not happy with the dollar’s 10-year descent, nor are they happy with the Federal Reserve’s commitment to debasement. Foreign dollar owners fear the Fed will use further debasement as a tool to reduce its outstanding foreign debt. Subsequently, countries are moving towards trading policies that exclude the US dollar. Of great concern to the US government is the international movement towards trading oil in non-US dollar currencies. On November 24, 2010, China and Russia officially “quit the dollar” and agreed to use each other’s currencies for bilateral trade—including oil. Official trading on Moscow’s MICEX Index began December 15, 2010. To make matters worse, Chinese President Hu Jintao commented at the time that “The current international currency system (with the US dollar as the world’s reserve currency) is the product of the past.” The alliance between Brazil, Russia, India and China (BRIC) has seen several similar deals, with China surpassing the US as Brazil’s largest trading partner in 2009. No other paper currencies are strong enough to challenge the US dollar as the world’s reserve currency; gold, therefore, is the only logical answer. 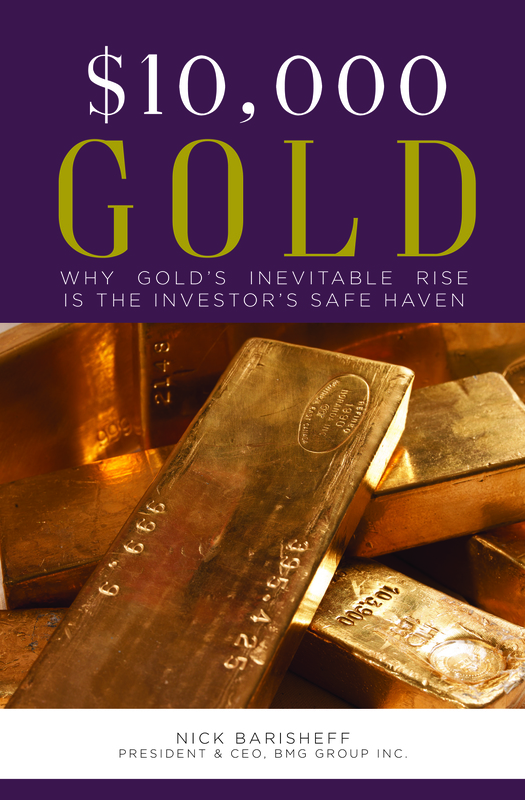 These long-term trends will continue to put upward pressure on gold for years to come. When we experience declines as we did last week, we need to ask ourselves whether these long-term trends are still in place. Is there still a debt crisis? Is monetary debasement continuing? Are oil prices still rising? Is outsourcing combined with an aging population still causing countries to go further into debt? Temporary, artificial influences cause many of these short-term pullbacks. Last week it was the raising of margin requirements in the silver market that forced underfunded margin traders to liquidate. As a result, a spate of negative gold and silver articles filled the media. The articles warned of the exit from gold and silver by momentum traders and technical traders like George Soros. This has nothing to do with the fundamental long-term influences that are causing the price of gold and silver to rise. Precious metals do not lend themselves to technical analysis, and high-speed computer trading is rendering many of these signals obsolete anyway. Perhaps a more reliable way to protect against corrections is to buy puts as insurance. Think of these as an insurance policy on your core holdings, which remain intact. Bullion holdings are core holdings that we do not trade, but hold permanently as a store of wealth that will be there for future generations. In 2005, BMG commissioned a report by Ibbotson Associates, a leading authority on asset allocation with expertise in capital market expectations and portfolio implementation, to determine the appropriate portfolio allocation of gold, silver and platinum. They concluded that seven percent was required for a conservative portfolio that was overweight bonds, and 16 percent for a more aggressive portfolio that was overweight equities. Most investors probably have some distance to go before their portfolios are at this point. Sometimes, it is not enough just to imitate winning strategies. We need to understand the mindset of those who have been buying and holding gold for the past decade. When we do, we will find that we too have the patience to buy and hold with confidence. We will start thinking in terms of ounces and a sense of permanent value will return to our financial lives. When we reach this point, gold market pullbacks like this week’s will be as welcome as the Saks Fifth Avenue 30-percent-off sale is to wealthy New York shoppers.